It was a lightbulb moment for me! It stuck with me and I thought a lot about it. I also thought about how I wanted our house to be a safe place, a sanctuary for our family. How can we feel like its a sanctuary when we’re yelling at each other? So, we sat the kids down and talked about what a sanctuary is and how our home should be like a sanctuary for our family. 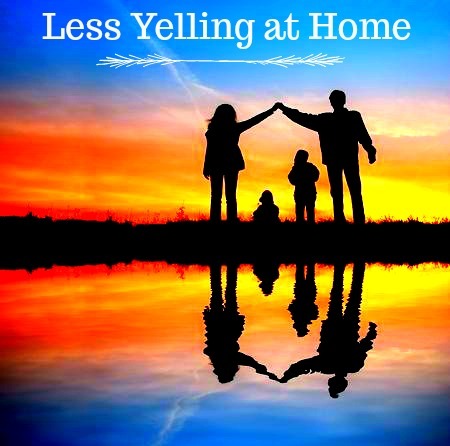 We also talked about how yelling takes that feeling away from our home and they all agreed that they didn’t like the feeling when there was yelling. And then I introduced the quote! 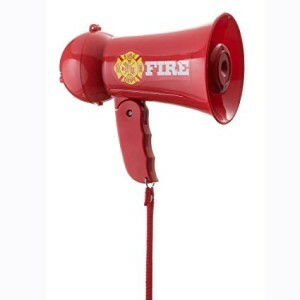 “There should never be yelling in the home unless there’s a fire.” I pulled out my new toy bullhorn that makes a fire engine siren and told them that when someone was yelling, I would turn on the siren because there must be a fire in the house. I don’t even need to use it very often anymore, because the kids became more aware of their actions or got out of the habit or something. Basically, the amount of yelling has decreased tremendously. The kids all thought the bullhorn was fun (It’s a cute and loud toy, what’s not to love?) but my 7 year old who I’ve had lots of struggles with lately actually told me one day, when I had to use the siren, that I always think of such fun things to use in the house. It was a good moment for us! My yelling has greatly decreased! 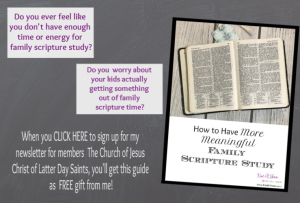 I thought it would be helpful for the kids but what I discovered is that most of my yelling is done while trying to get the kids to stop yelling. By using the bullhorn it gives me a way to address what’s going on without yelling. Most of the time I just run toward the yelling with the siren on and saying, “Where’s the fire? Where’s the fire?”. When I do need to continue to speak, I do so in a deep, calm voice through the bullhorn and that can even get some laughs out of kids that are throwing tantrums. I never thought I’d use the bullhorn part. I just bought it for the siren. But the bullhorn came in handy too! We have a rule that kids don’t touch the bullhorn/siren. Our house is noisy enough & I don’t need the added noise of kids playing with a siren. It would also lose its effectiveness if they heard it all the time. It sits on top of the fridge and only Mom and Dad get to touch it. Make sure you include the sanctuary/safe place talk when introducing the bullhorn/siren. Remember that you don’t need to yell when you’re using the siren. It is loud enough to get their attention, so you can keep your voice calm and quiet. It won’t work every time. That’s okay! If you have young kids, there will be times when their tantrum can’t be quieted. I just have them go to their room and close the door so the rest of us don’t have to listen to it. If you want to get your own bullhorn/siren, you can get it here at Amazon.